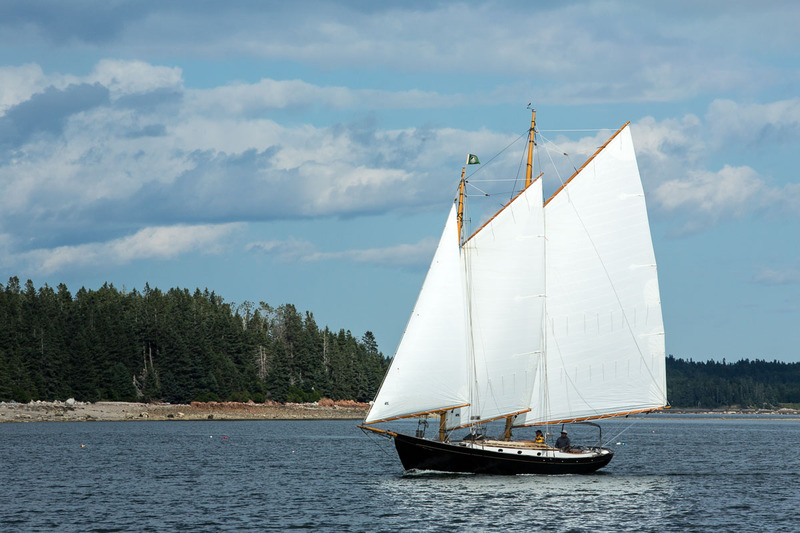 A schooner sailing off of Torrey Island, Eggemoggin Reach, near Center Harbor. Not that I get tired of New York City, editorial photography, advertising photography, or corporate photography, but it’s good to get away once in a while. I recently spent 5 days with some friends sailing around Mt. Dessert Island, Blue Hill and Penobscot Bays in Maine. It was quite blissful, until the chartered boat’s fresh water pump gave out, and the rain set it. The good news was both occurred simultaneously, so we returned the boat early, packed the car before the heaviest rain hit, and headed home. 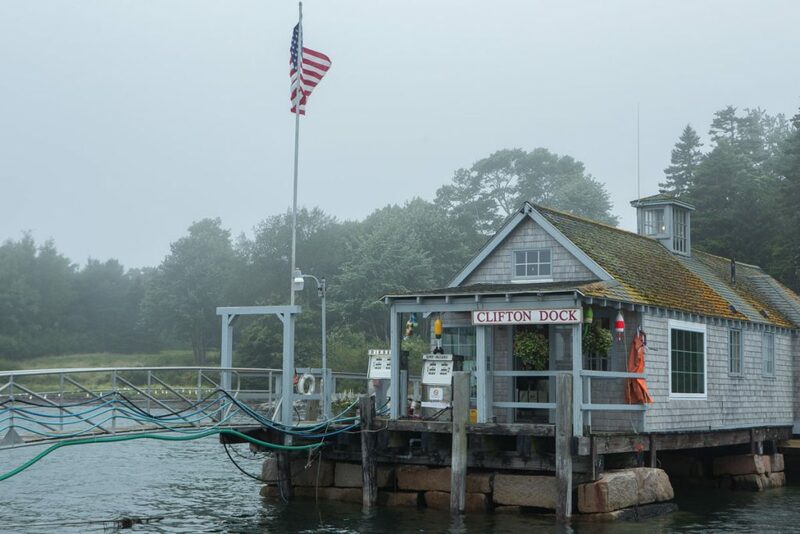 Clifton Dock, near the entrance to Northeast Harbor, in the fog. Digital? Bring batteries and a 12v charger. Unless the boat has no power, in which case more batteries. Bring a rain jacket for your camera. I use a Shutter Hat, which works for me up to the point where I need a marine housing. Bring a large zipper-locking bag with silica gel in it—I use a small handful of the silica gel containers you can find in vitamins—to dry your camera when it gets wet. Use fast shutter speeds—boat pitch, yaw and roll, sometimes a lot. Photos while sailing in Maine on my archive site. Safe harbors, and keep her off the bottom.